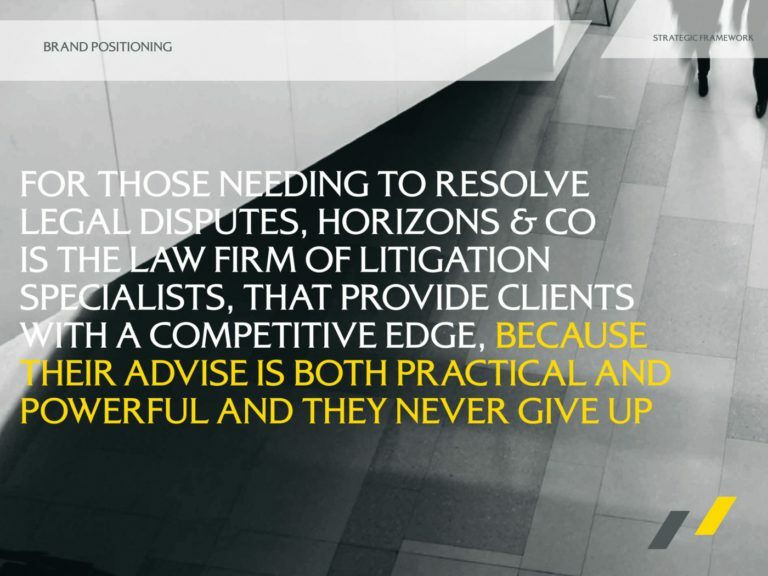 Horizons took the bold decision to focus on what they do best and grow their team of litigation lawyers to provide international standard services to other leading law firms and clients. 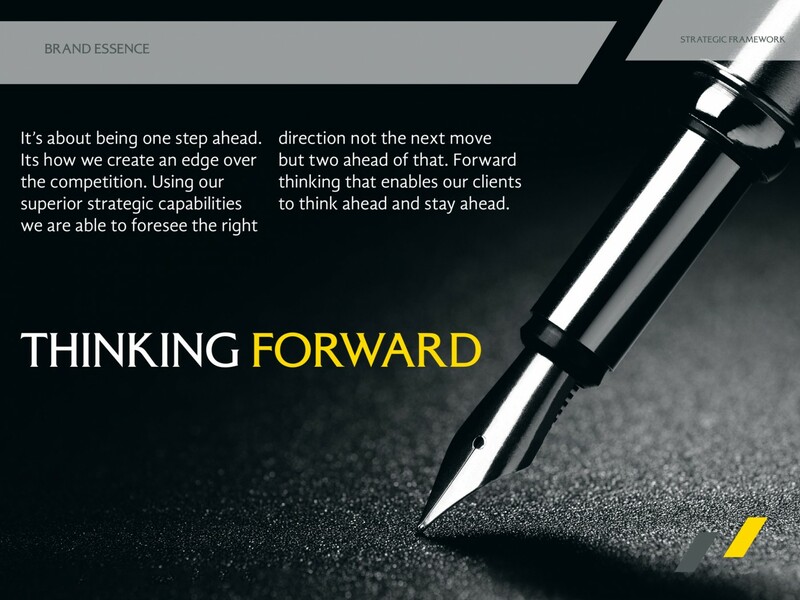 Using insights from our discovery process we developed a robust brand strategy which revolved around the essence of ‘Thinking Forward’. 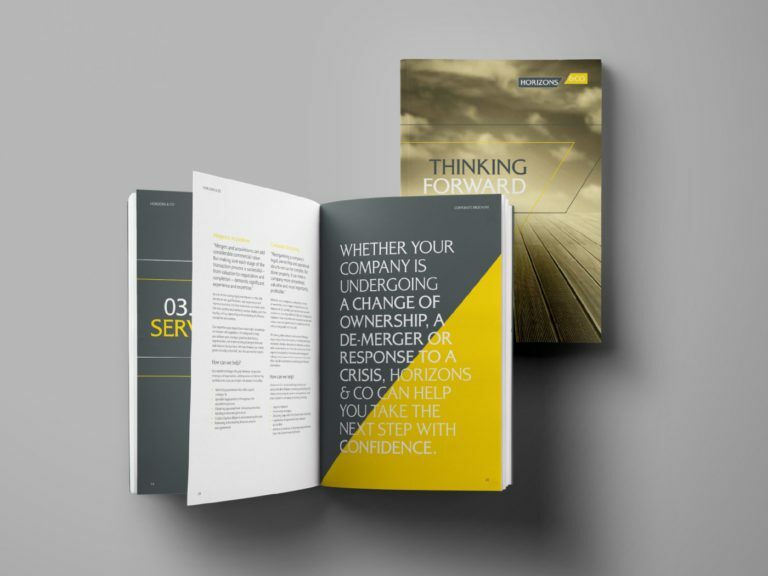 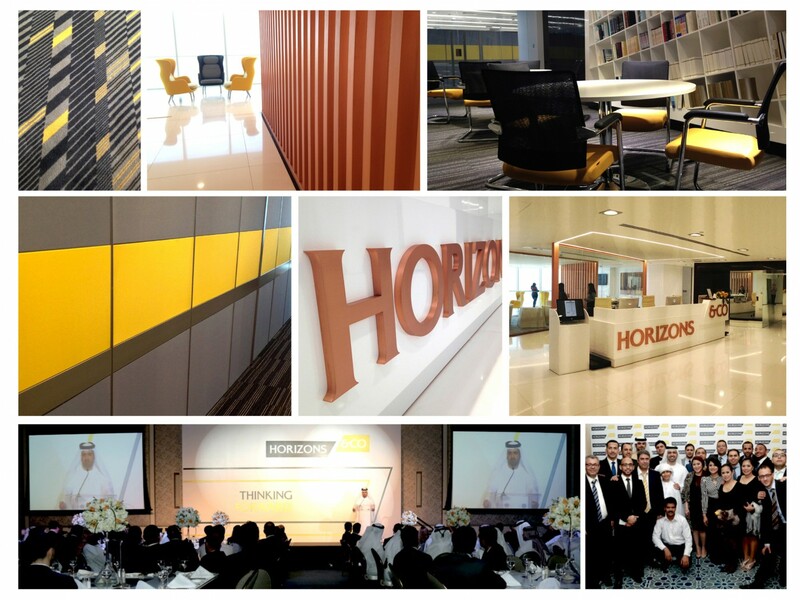 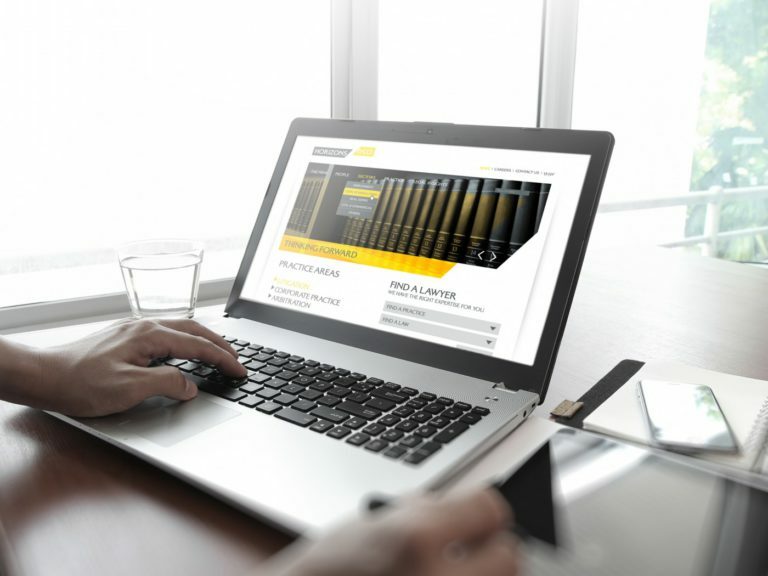 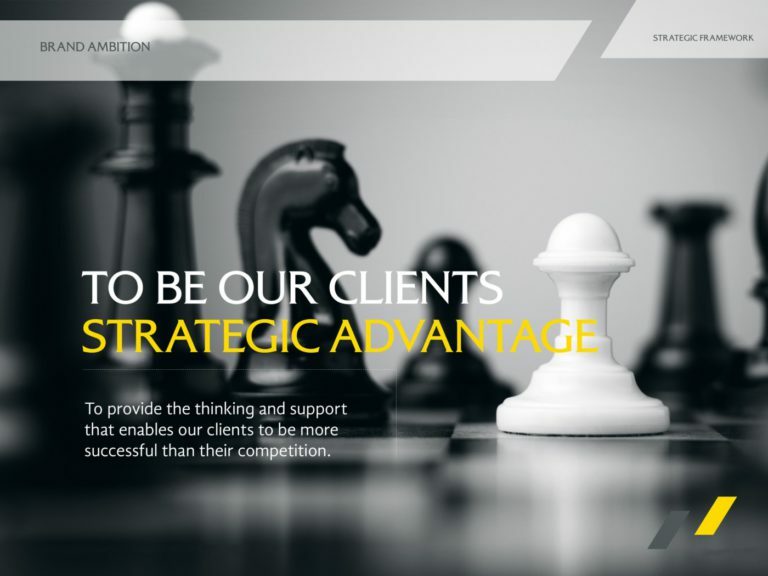 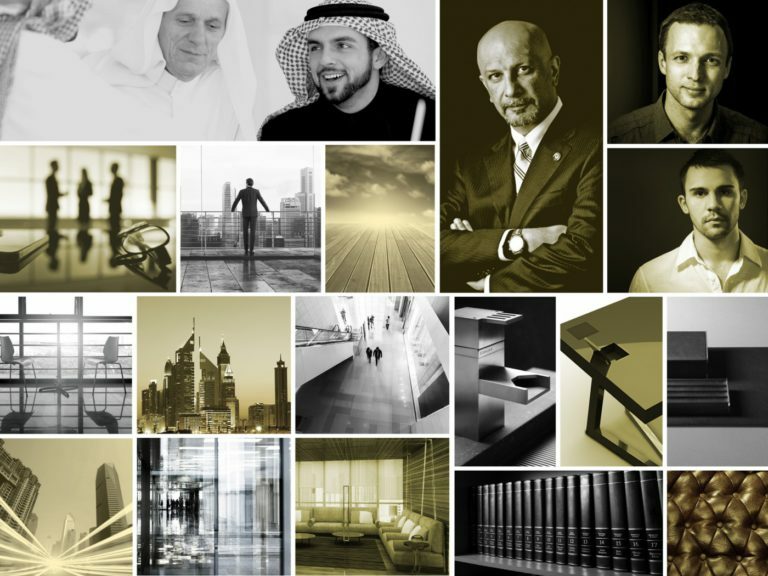 With this, Horizons & Co promised its clients that using their superior strategic ability and market knowhow, they would provide them with fresh perspectives that are practical and powerful – always keeping clients a step ahead. 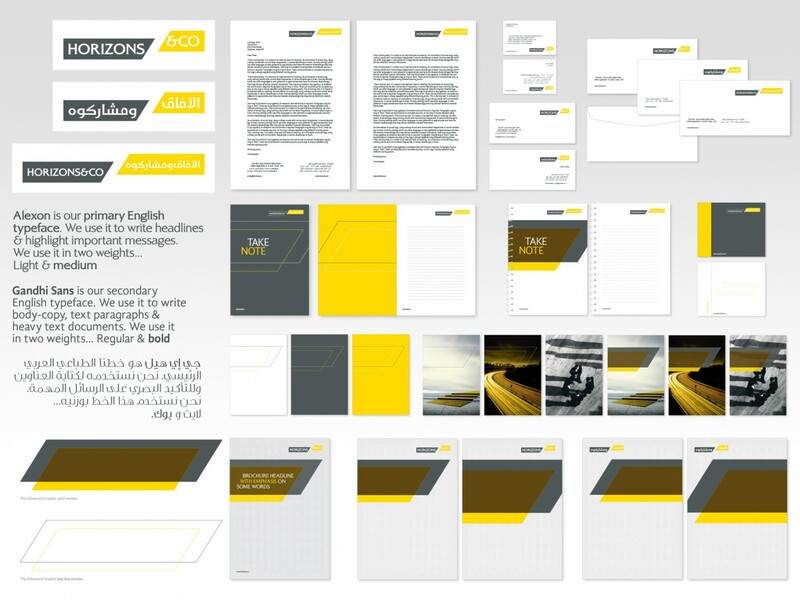 The new identity reflected the strategy and is bold and dynamic yet solid. 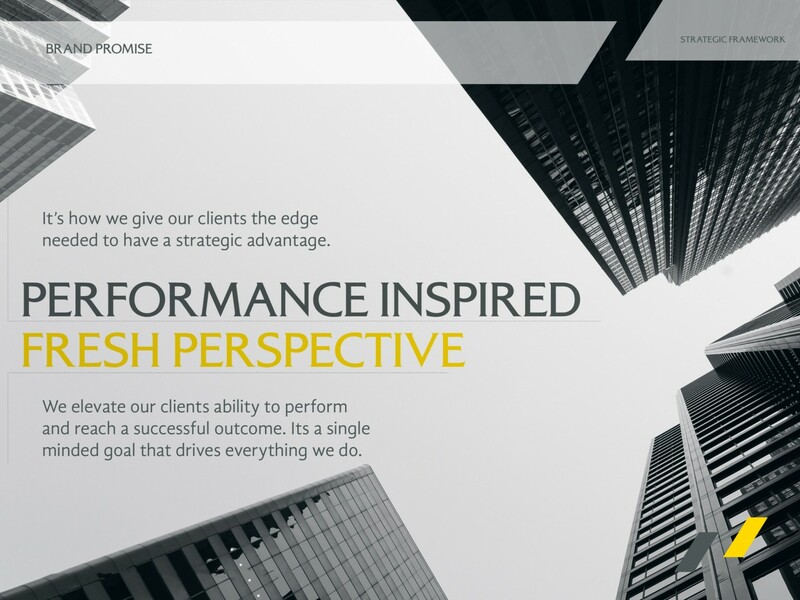 The colour choice was specifically to stand out is a peer palette of blue, red and black. The team at Horizons & Co have risen to the always challenging task of rebranding and have carried the brand strategy through to their HR policies and recruitment practices as well as to their physical environment.